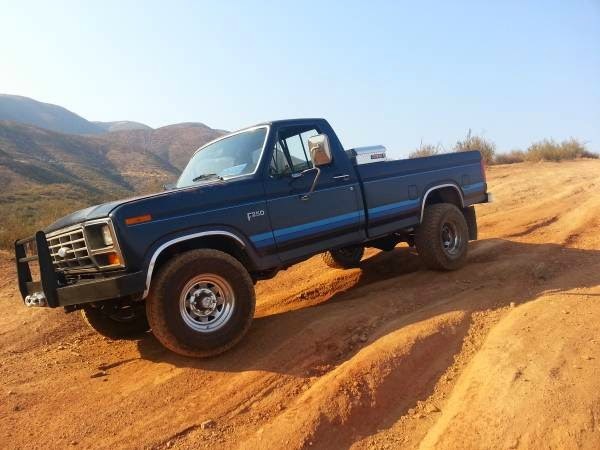 1983 Ford F250 4x4 full size pickup truck on fair condition has 80K miles, automatic transmission ready to go for new owner. This truck just sits in my garage and I don't have the room for it, so I have decided to sell it to someone who will use it. 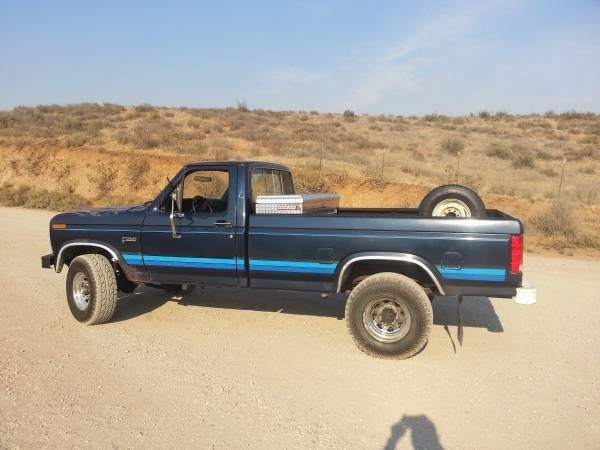 It has the reliable Ford 460 engine in it which was fully rebuilt 3 years ago by Valley Head Service in Northridge. It has a Comp Cam RV cam in it, increased compression pistons, and fewer than 2,000 miles since the rebuilt. At the same time I had the engine rebuilt I had the transmission and transfer case professionally rebuilt. The Carburetor was rebuilt and re-plated by Pony Carburetors. I can provide receipts for the rebuild with full specs. It has L and L headers leading to a twin Flowmaster exhaust that exits in front of the rear wheels. It has a plate steel front winch bumper from Jeff's Bronco Graveyard and a brand new Warn 9.5cti winch with wireless remote control and synthetic cable- never used. There is also a new Weather Guard toolbox in the rear. The rear axle is a Dana 70U that was rebuilt with all new brakes, bearings, and seals. A Detroit Locker was installed. The Front tires are old but in good condition and the rear tires are almost new BFG all terrains. The rear gas tank has been replaced with a 40 gallon tank from LMC truck with a new sender/pump unit. The front tank has a new sender/pump unit as well. The seat was professionally re-upholstered with new foam and heavy duty vinyl. Radio and heater do not work. Turn signal switch needs to be replaced but works. I have the heater core and new turn signal switch. They will be included, un-installed with truck. THe gauge cluster has been replaced and does not show actual mileage. Actual milage is around 80k miles. The paint is bad on the truck- specifically on the hood and roof. I left is as is because it is surface rust only and liked the rough aesthetics. Registration fees paid until Aug 2015 but it will need a smog. Passes smog with a tune- can refer to my smog guy. Winch, toolbox, and locker alone total the minimum price of the truck. 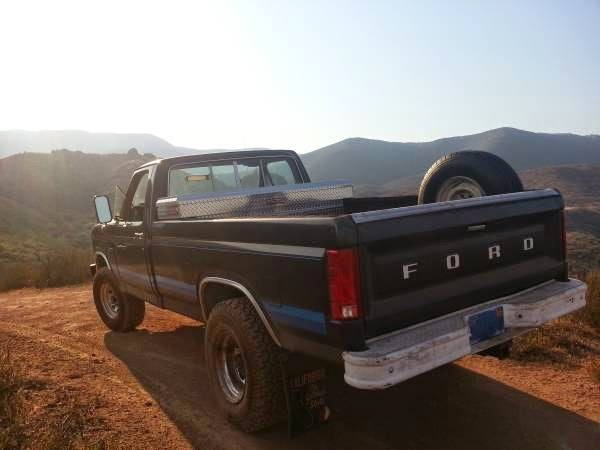 I have put way more money into the truck than I am listing it for.